Katie Boatman, lecturer and director of galleries at Belmont University, has been invited to exhibit new work in A Curated Life: Mediations Between Art, Objects and Ideas at Clemens Fine Arts Gallery in Paducah, Kentucky. The show highlights several artists that also work as curators, exhibiting other artists’ work. Boatman’s most recent painting, Meditation II, is on exhibit at the gallery. 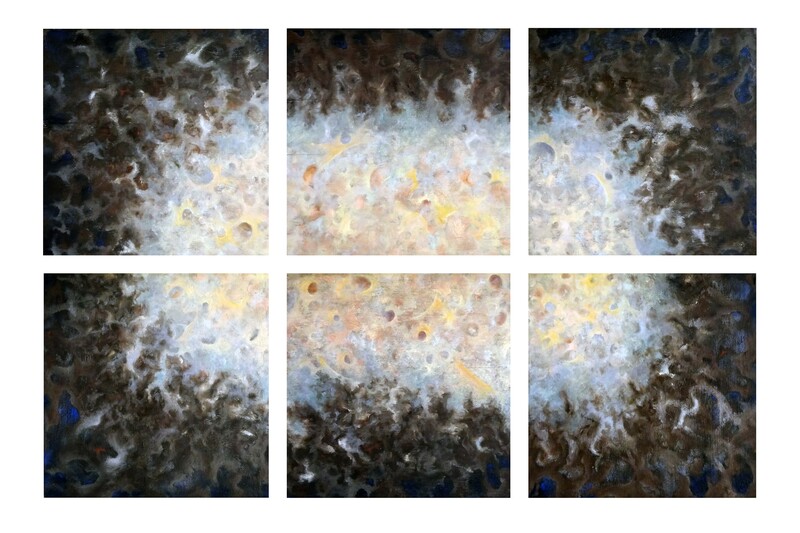 The piece is comprised of six 12″ x 12″ wooden panels and depicts fragmented, yet interconnected, ethereal forms that softly undulate with shift in color and value. The piece draws inspiration from The Waste Land by T.S. Eliot. In addition, Boatman will participate in a correlating panel discussion where several exhibiting artists will discuss what it means to be a modern curator and the impact they have on how the public perceives contemporary and historical artwork.